Jacob Young Mersereau, son of George and Elizabeth Bamford Mersereau, was born in Blackville on June 27 1854. He grew up in Doaktown, New Brunswick and was educated at a country school near there. Jacob Y. Mersereau worked in connection with the lumber industry in Doaktown before he settled in Chatham in the late 1870s. He entered the photography business in 1881, when he and a partner took over a studio which had been opened about two years previously by James A. Stevens. He had various short-term partners and assistants in the early years, when he was also a sales agent for sewing machines and organs, but he was on his own by 1887. Since the studio at Chatham did not occupy him full-time he sometimes travelled with a portable set-up to different places along the North Shore, and to Marysville and elsewhere in the province. In 1888 he had a “photo salon” at the front of Swim & Son’s store in Doaktown. In 1895 it was announced that “Mersereau’s photographic car” would be coming to Blackville for a week. The car may have taken the place of fixed studios and salons for a time. He was temporarily without a studio in Chatham in 1897 but opened one in Campbellton in 1898 and one in Newcastle in 1906. Mersereau kept abreast of the latest developments in the field of photography. In 1909 he was elected vice-president of the New England Photographers’ Association, of which other leading professionals in the Maritimes were also members. Some 600 of his photographs from the period 1890-1920, including scenes of sawmills and lumbering operations on the Miramichi, are preserved in the Mersereau Collection at the Provincial Archives of New Brunswick. Of special interest is a series of bridge pictures produced on 14″ x 17″ glass plates. Mersereau closed his photography business in 1923 and became publisher of the Chatham World, as successor to James L. Stewart. He was a member of the Chatham Board of Trade, a town councillor for several years, and mayor for two years. In 1928 he was appointed police magistrate for Chatham. Soon afterwards, he sold The World to the Commercial Press Ltd of Chatham which merged it with the weekly Commercial to form The Commercial and The World. He held his appointment as police magistrate until 1935, when he resigned due to failing health. Mersereau, who was musically gifted, organized and taught a “singing school” at Nelson in 1882 to train a choir for the new St James Presbyterian church. He himself was a member and vestryman of Emmanuel Reformed Episcopal Church in Chatham. 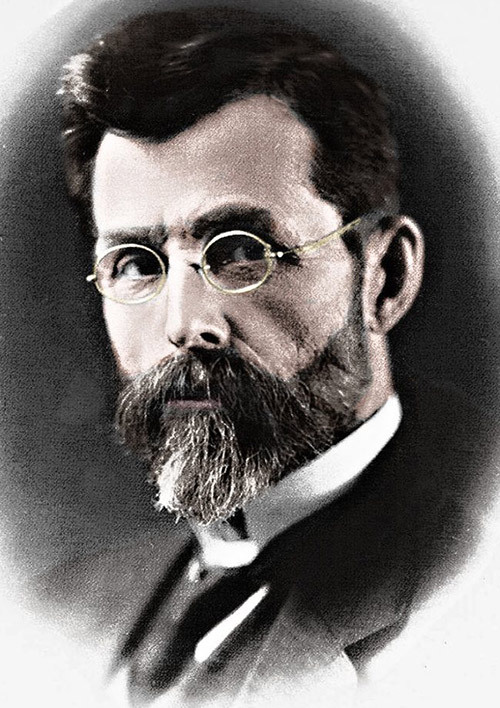 After its demise he and his family were affiliated with the Methodist church and later with the United Church of Canada. His first wife, Carrie A. Whittaker, was drowned while skating on the river about a year after their marriage. He and his second wife, Florence A. S. Steeves, had seven children: Lulu, Edwin, Claude Middleton, Guyon Alexander, Cecil Rhodes and Charles James Sayre, and one who died in childhood. Lulu, the oldest, stayed at home. Edwin, like his father, was a photographer, with his business, Sarony Inc., was located next to the Empire State Building in New York City. Charles, one of the sons in World War I and the youngest child, was killed on April 18, 1918 while overseas. Mr. Mersereau died on June 4, 1938 at the age of eighty-four.